Easter is coming soon. We'd like to help you to celebrate with this prize draw! 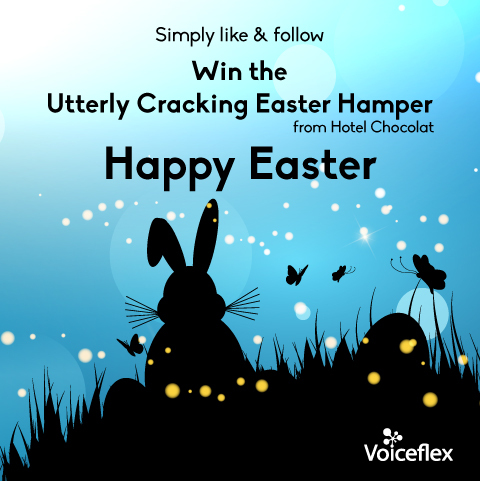 Voiceflex is giving you the chance to win the Utterly Cracking Easter Hamper from Hotel Chocolat. You have until Monday 15th April 2019 at 10pm to participate. Congratulations to Richard Foleher - winner of our Mother's Day competition.